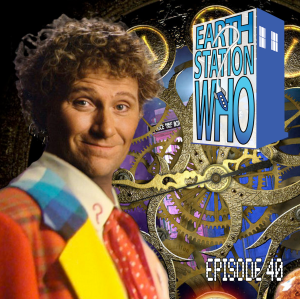 In this special episode of ESW live from TimeGate 2013, we gather podcasters from the Doctor Who Podcast Alliance to speak to Colin Baker, the 6th Doctor himself! 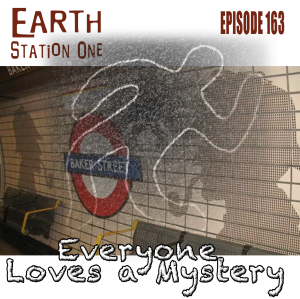 Panel hosted by Mike Faber of ESW and featuring Chip from the Two Minute TimeLord, Ian from Cultoom Collective, JC & Rita of Transmissions from Atlantis, Dr. Scott Viguie of Articles of the Shadow Proclamation, Jen of ESO & The Phantom Troublemaker of ESW. I'll be spending Memorial Day weekend in Birmingham, AL as a guest at the Alabama Phoenix Festival! This will be my first time at this convention and I've heard nothing but good things about the show. I'll be traveling with my Earth Station One co-host, the award-winning author Bobby Nash and we'll have plenty of Strong Will preview books on hand. There are many other ESO-related guests in attendance as well. So, if you're interested in talking about podcasting or anything geek-related this weekend, stop by my table. If you happen to buy a book or two, so much the better! The final episode of series seven is also the first part of the Doctor’s 50th anniversary special! 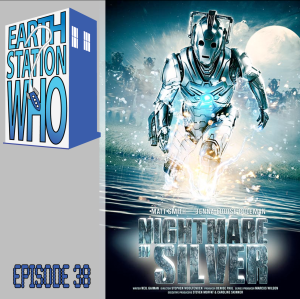 Mike, Mike, Phantom Troublemaker, the award winning author Bobby Nash, and Jonathan Thomas (Tardisopia.net) find themselves on Trenzalore facing the Great Intelligence that is Steven Moffat. Though some questions were answered, the ending was a game-changer and only one thing is for certain – it’s going to be a long wait until November 23rd! 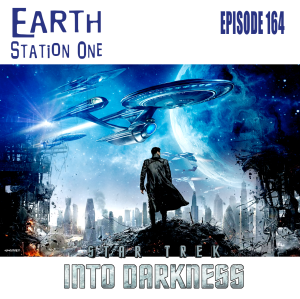 This week, the ESO crew boldly explores the newest chapter of the Star Trek franchise. Mike, Mike, Jennifer, and the award-winning author Bobby Nash are joined by Rebecca Perry (TheOneRing.net) and Alex Autrey (7th Row Center podcast) as they choose between embracing fandom or just having fun. One thing they all agree on is that everyone loves tribbles! 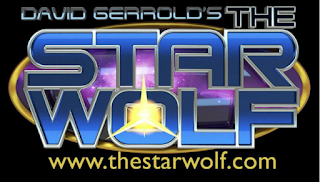 We chat with the creator of the little furballs, David Gerrold, about his latest project, The Star Wolf! Plus, the usual Rants, Raves, Khan Report, and Shout Outs! 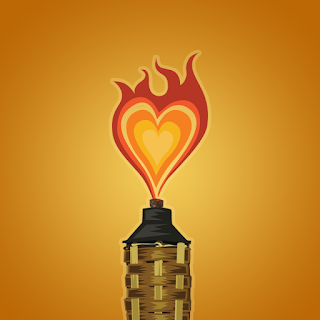 This week's Shout Out goes to two worthwhile Kickstarter campaigns. The first is for creating a series pilot for The Star Wolf, based on David Gerrold's novel series. I've read the books and I really want to see this show on tv, so please help make it so! The Earth Station One crew is on the road again! Heading to two very cool conventions over the Memorial Day weekend. 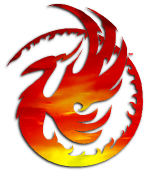 Join us for reviews of TimeGate and the Alabama Phoenix Festival from the ESO crew as well as from personalities from several shows on The ESO Network. ESO wants to hear from you! Did you do anything geeky on this holiday weekend? Have you recently visited a cool convention or planning one? Drop us a line at www.esopodcast.com, the ESO Facebook Group, email us at esopodcast@gmail.com, or call us at 404-963-9057 with your comments. We just might air your comments on the show! Resistance may be futile, but this episode has been met with more than its share of it. Mike, Mike, Phantom Troublemaker, the award-winning author Bobby Nash, and Beth Vandusen match wits with Neil Gaiman, Steven Moffat, and Mr. Clever and try to make sense of the penultimate episode of series seven. Perhaps the ESW crew just needs to be upgraded. Who dunnit? That’s what the ESO crew investigates this week. Mike, Mike, the award-winning author Bobby Nash, new co-host Jennifer, and Van Allen Plexico seek help from some of their favorite detectives. If only the station had a butler! Also, friends of the station Anthony Taylor and award-winning artist Mark Maddox join us to honor Ray Harryhausen, Steve Charleson previews the upcoming Alabama Phoenix Festival, and our new co-host finds herself in The Geek Seat! All this, plus the usual Rants, Raves, Khan Report and Shout Outs! 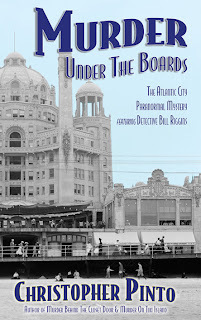 This week's Shout Out goes to Tiki Chris Pinto's new mystery novel, Murder Under the Boards: The Atlantic City Paranormal Mystery, which is now available! Next week, the ESO crew boldly goes where we've been many times before - to the movie theater to see the new Star Trek film! Join us as we review the next big blockbuster of the season! ESO wants to hear from you! What did you think of Star Trek Into Darkness?? Have you recently visited a cool convention or planning one? Drop us a line at www.esopodcast.com, the ESO Facebook Group, email us at esopodcast@gmail.com, or call us at 404-963-9057 with your comments. We just might air your comments on the show! 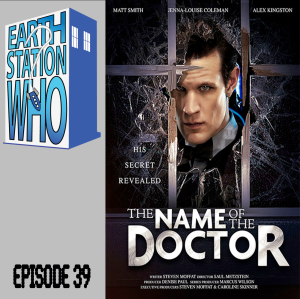 Mike, Mike, Phantom Troublemaker, the award winning author Bobby Nash, and Jennifer Hartshorn enter the room from which no one returns to review the 100th episode of Doctor Who since its revival. 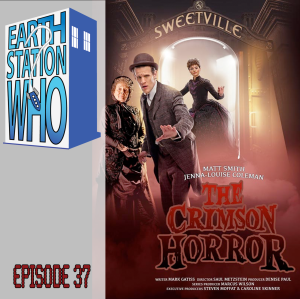 In addition to taking a tour of Sweetville, the ESW crew also discuss some of the recent negative comments regarding the series as it seems they are building up along with all other excitement regarding the 50th anniversary. Internet trolls will not be preserved to survive the apocalypse. So says Mr Sweet. 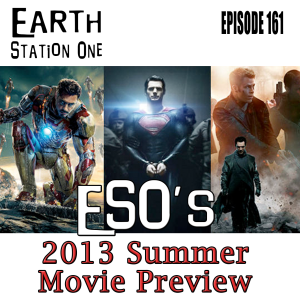 This week, the ESO crew begins reviewing the summer movies with one of the most anticipated films of the season, Iron Man 3. Mike, Mike, the award-winning author Bobby Nash, Tara Lynn, and Jennifer Hartshorn form a think-tank of their own and discuss the movie in detail. They also talk about the other geek-related events of the weekend, particularly the phenomenon known as Free Comic Book Day. Also, writers Charles and Beverly Connor take turns in The Geek Seat and Nikki Rau-Baker reports on C2E2. Plus, the usual Rants, Raves, and Shout Outs! This week's Shout Out goes to Borderlands Comics & Games in Greenville, SC. I can't thank Rob enough for inviting me to take part in Free Comic Book Day at his store. And even when they are not holding a special event, they have everything a comic shop should have - a great selection of new titles and back issues, friendly and knowledgeable staff, and plenty of copies of Tiki Zombie on the shelves! Next week, the ESO crew looks at some of our favorite fictional detectives. Whether your tastes run from Miss Marple, Jim Rockford, Thomas Magnum, Jessica Fletcher, Mike Hammer, Sherlock Holmes, or Batman, ESO will solve the mystery of why we love detective stories so much. ESO wants to hear from you! Who are your favorite sleuths and why? Have you recently visited a cool convention or planning one? Drop us a line at www.esopodcast.com, the ESO Facebook Group, email us at esopodcast@gmail.com, or call us at 404-963-9057 with your comments. We just might air your comments on the show! Many thanks to the fine folks at Borderlands Comics & Games in Greenville, SC for making this year's Free Comic Book Day something special! It was a fun day and I'm very glad someone captured it on video. Keep a sharp lookout for the man in the hat! The Doctor and Clara take a trip of a lifetime without going anywhere! Mike, Mike, Phantom Troublemaker, the award-winning author Bobby Nash, Anglofile extraordinaire Jonathan Thomas, and listener Drew Meyer remark on all the sights and sounds revealed in that beautiful big blue box. 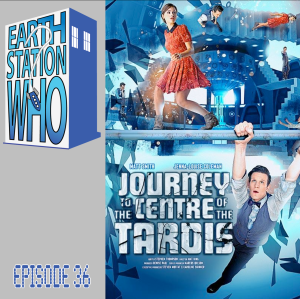 Plus, Jonathan introduces us to the center of Tardistopia, a new website for people who love Doctor Who. Then someone hits the big friendly button and resets the entire show. This weekend, the race to box office supremacy begins! Mike, Mike, award-winning author Bobby Nash, Box Office Buzz scribe Ashley Bergner, and 7th Row Center podcaster Alex Autrey survey the highs and lows of the upcoming summer movie season. However, Alex’s magic movie 8-ball cannot help him in The Geek Seat! Plus, Tara Lynne returns to the station to tell tales of the Ice & Fire Con this past weekend. All this, and the usual Rants, Raves, Khan Report, and Shout Outs! This week's Shout Out goes to new dad and artist extraordinaire Wendell Cavalcanti. 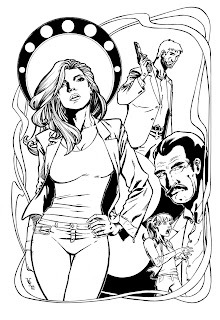 He did some amazing work on the Invisible Scarlet O'Neil graphic novel and his current pencils on Blackacre are outstanding as well. He just keeps getting better and better! Just wait until you see his work on Strong Will! Now that he's a proud papa, he needs all the financial help he can get, so check out his DeviantArt page for original art pages or commissions. 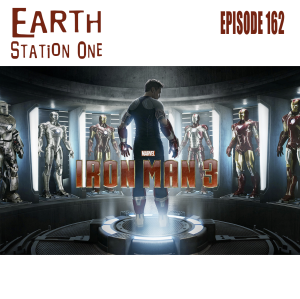 Join us next week as the Earth Station One crew and friends head to the theater for a look at one of the summers most highly anticipated movies, Iron Man 3! ESO wants to hear from you! What did you think of the third Iron Man movie? Have you recently visited a cool convention or planning one? Drop us a line at www.esopodcast.com, the ESO Facebook Group, email us at esopodcast@gmail.com, or call us at 404-963-9057 with your comments. We just might air your comments on the show! 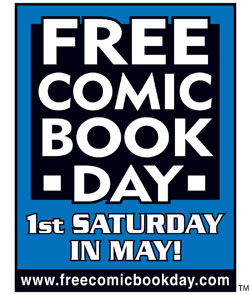 This Saturday, I will at Borderlands Comics and Games in Greenville, SC for Free Comic Book Day! I will be giving free previews of Strong Will, the upcoming comic by Bobby Nash, Wendell Cavalcanti, Rob Jones, Mark Maddox, and myself. Tiki Zombie artist Peter Cutler will also be there offering free sketches. There's also going to be several other creative folks, zombies from The Walking Dead, cosplayers, a blood drive, a 25-foot gorilla! 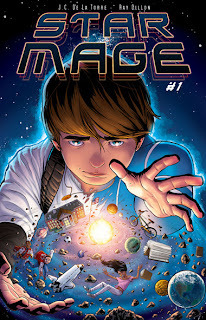 And did I mention FREE COMICS?!?!?! Hope to see ya there on Saturday! It's gonna be a FAN-TIKI-TASTIC time!! !